Oy there! The name’s McGregor. 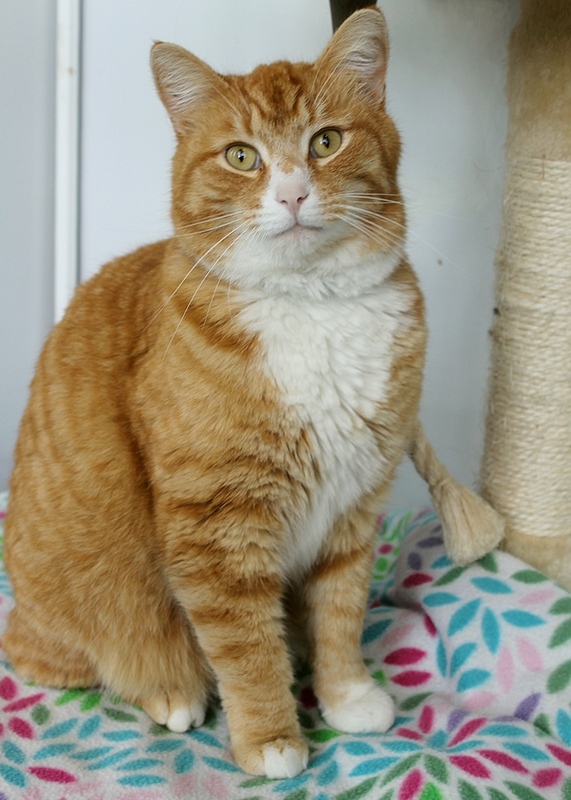 I’m a very handsome and friendly fellow in need of a new spacious home to call me own! I’m a 5-year-old lad that is very hearty and personable. 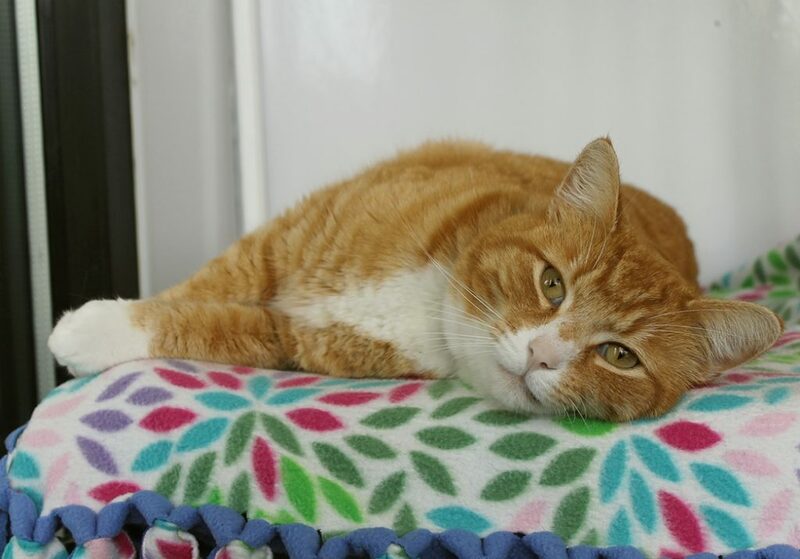 I’m currently residing in the Pixie cattery and I’m very chummy with my fellow felines as well as any humans I meet! My former owner was extremely fond of me but unfortunately moved from a spacious, more rural place where I was able to go outside freely to a small, urban apartment where I had to be confined to the indoors for my own safety. I made it clear very quickly that I was not happy being inside a small apartment, and would constantly try to get out into the world beyond. I’m looking for a bigger space where I can safely be exposed either to a catio or an outdoor area that I can explore. Other than that, I’m a pretty easy-going guy that gets along with just about anybody and would be a great fit for almost any family. Could Irish luck be on my side? I think my family is right at the end of the rainbow! Come meet me today! I come to you fixed, vaccinated, and micro-chipped for an adoption fee of $100.